Sydney Chapman has been playing the trumpet with the Kirtland schools for the past 8 years, 4 years with the San Juan College (SJC) Symphonic Band, and 3 years with the SJC Jazz Big Band. As a senior at Kirtland Central High School (KCHS) she is in her 3rd year as the marching band’s drum major. 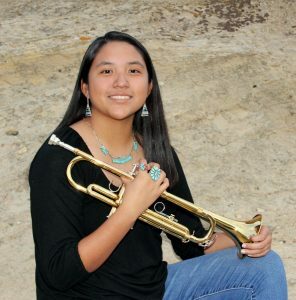 Adding to her years of experience, she has dedicated the past 2 years playing with the New Mexico “Arsenal Drum and Bugle Corps” and is looking forward to auditioning again later this year. In addition, Sydney has contributed to the area community by playing in the Veteran’s Day Memorial directed by Janet Isham. She has also performed the National Anthem for her grandfather, Emerson Lee, who received lost medals during the Vietnam War. 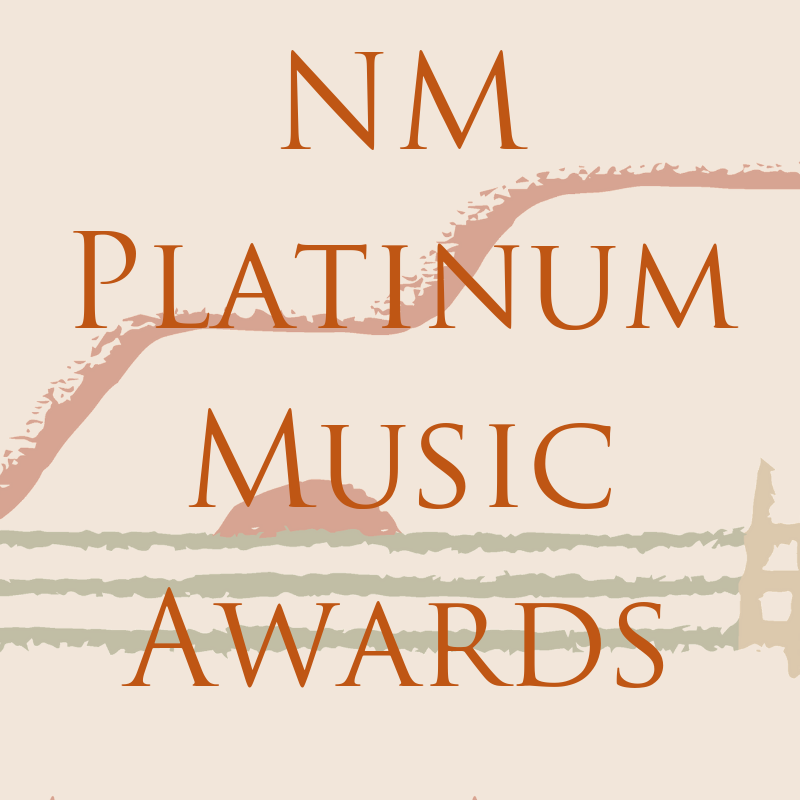 She stated, “It was an honor to meet New Mexico Congressman Ben Lujan as he presented the medals to my grandfather.” In the Pueblo of Zuni, Sydney played with the A:shiwi A:wan Band (Zuni Tribal Band) during the 2018 Zuni Fair, “It was a privilege to play with other Zuni musicians after 10 years of band absence, I could feel the excitement from the community members as we played together.” On special occasions, Sydney has played for the Zuni Christian Reformed Church as a way of giving thanks to God. Sydney is immensely honored by this recognition and is thankful to her family for their unconditional support throughout all of her musical activities. She also thanks her previous and current band directors for the knowledge they have given her. As a member of the Zuni Tribe, Sydney hopes to inspire, teach, and be a role model for young Native American musicians. Her future plans after graduation is to double major in Music Education and Performance at Eastern New Mexico University. Congratulations, Sydney, for being selected as a featured student musician! In addition to being inducted into the student spotlight, Sydney will be featured on the Music Commission’s Facebook page and will receive an official certificate of recognition from the State. Click here for information about the Student Musician Spotlight. above: Sydney Chapman performing A Child is Born with the San Juan College Jazz Band, directed by Delbert Anderson. note: Sydney’s biographical information, image, and video are used with permission of her mother, Marla K. Chapman.